Flying with a Baby: Why Pay for a Seat When Babies Fly for Free? When our son was born just one year ago, my husband and I made a deal. During the next two years, we would travel as much as we possibly could. Why? Because our baby could fly for free, or, for anywhere between $70 to $140 if we booked a bassinet. Since then, our son has been on over 15 flights — some international and some domestic. 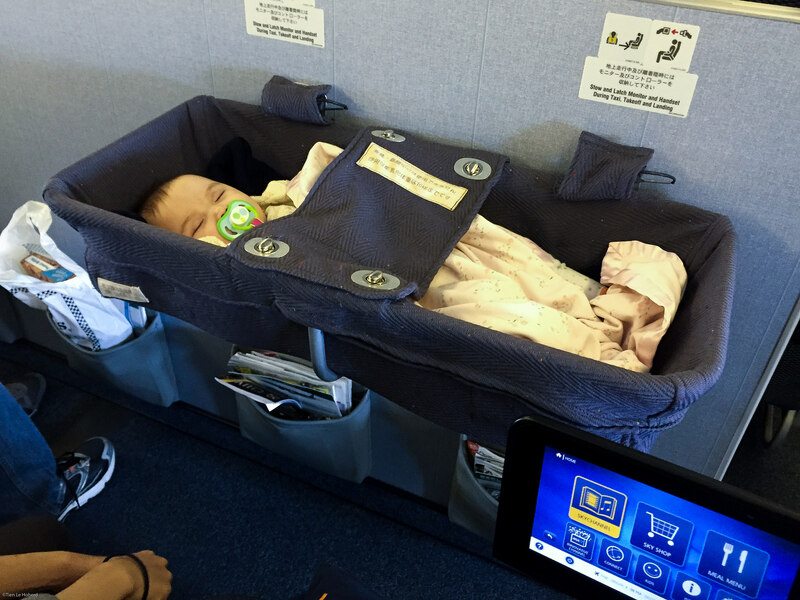 On several international flights, we reserved a bassinet, which my son lay in for for a maximum of 30 minutes on one flight only. It didn’t matter, though. The bassinet was located at the front of the economy section, which I lovingly dubbed, “First Class for Parents.” Not only did this area offer us a stunning amount of legroom, but it also gave us a semi-comfy spot to place our baby while we got organized. See the world with your cutie in tow and not even have to pay much for it! We managed, and I’ve come away thinking that, even in practice, flying with a baby is a great deal. See the world with your cutie at minimal cost! And then, I saw something that shocked me. An infant — on a completely packed flight — lay in a car seat in his own seat. Which meant that his parents had purchased a full-price seat for him, even though he could’ve flown for free. I turned to my parents’ Facebook groups to ask about this phenomenon and was once again amazed to see how many parents shell out the money for their babies’ seats. And these were not parents who traveled infrequently with their kids, but world travelers who had taken their kids on multiple transatlantic flights. So why do so many airlines even allow lap children? Other parents said that they have chosen to buy their Little Ones seats because it makes the flight a hell of a lot more comfortable for everyone. Eight hours of comfort versus saving $800. Which would you choose? Well, that definitely sounds lovely. But, still. Eight hours of comfort versus saving $800. Which would you choose? I love this travel hack, and I will definitely attempt it in the future. But right now, I need to get on the phone with LATAM Airlines and pray that there’s a bassinet still available on our upcoming flight to Chile. Because maybe, in retrospect, it’s not the best idea to fly with a “lap child” and save $140 on that bassinet.